This is a web development website I built in a course I took at Udemy.com. After neglecting my education for a number of years, I discovered that HTML and CSS changed to a different language. HTML5 and CSS3 has become more prevalent and drives today’s basic static website development (at the time of this writing). 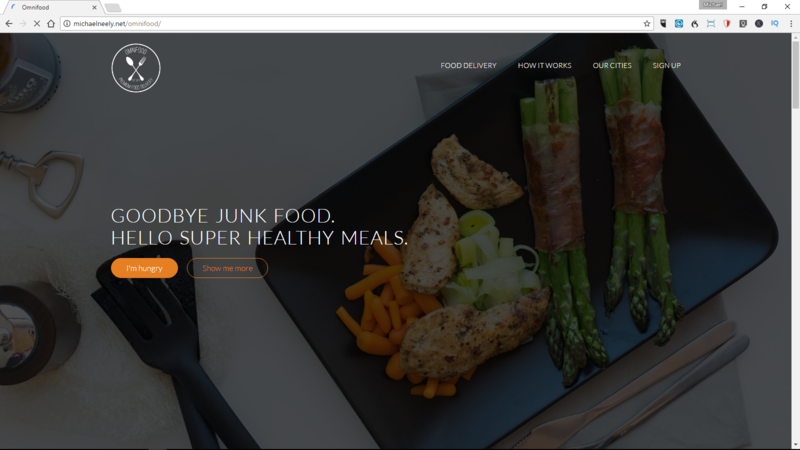 The instructor built this site for a fictional food delivery service. The site is visible at https://michaelneelyfreelancer.com/omnifood/. I completed this course in HTML5 and CSS3 in March 2016 and I continue to take courses today.